CRAZY COOL GROOVY!!! 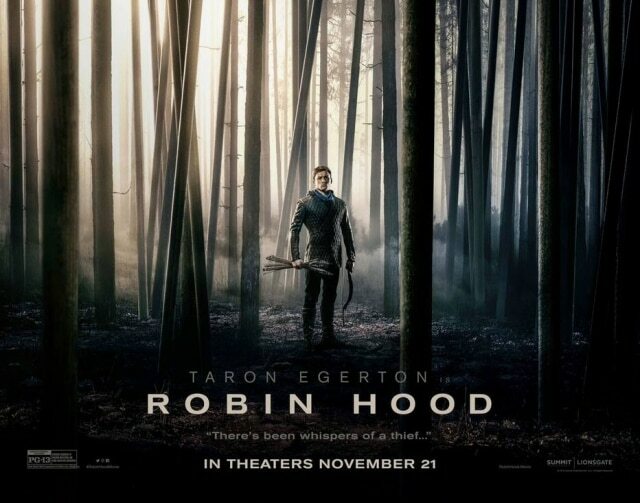 : MOVIE TRAILER - ROBIN HOOD!!! Get ready for HOLIDAY SEASON 2018 with a fresh adaptation of the timeless telling of the tale of ROBIN HOOD!!! TAREN EXERTION is ROBIN Of LEXLEY, a war-hardened Crusader while JAMIE FOXX is LITTLE JOHN, his best friend and a Moorish commander who band together to mount an audacious revolt against the corrupt English crown in a thrilling action-adventure packed with gritty battlefield exploits, mind-blowing fight choreography, and a timeless romance. Will YOU be going see ROBIN HOOD??? ROBIN HOOD is scheduled to open Friday, November 21, 2018.